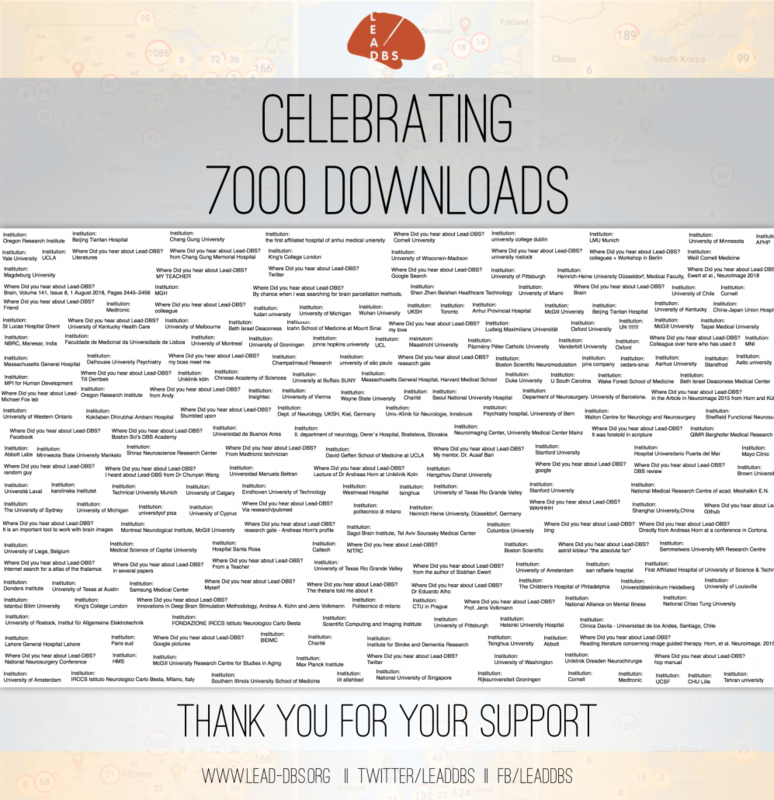 Lead-DBS is celebrating seven thousand unique website-downloads! We are proud about installations on six continents, Lead-DBS becoming a multi-institutional open source project and widely used software tool. Grateful for all the great support of colleagues world-wide since 2014. Thank you so much.